Many individuals who’ve been involved in motor vehicle accidents here in the Greater Toronto Area are not aware of the fact that you have 7 days (according to Provincial law) to notify your insurance company of your incident. Furthermore, you may be entitled to accident benefits and if so, you have 30 days from the date you received the application form in which to file it. A failure to do so could affect those benefits. There are other time-sensitive requirements as well. For instance, you only have 120 days to inform the other driver (who is presumably at fault) that you intend to sue them and only 2 years in which to contact the AG Injury Law Office to file your lawsuit. In all likelihood, the at-fault driver would be sued for damages such as lost wages, medical expenses, pain and suffering, etc. If not, it may not only prejudice your case but your life as well. This is why it is so important to call our office regardless of the seriousness of your injuries. We’d like to inform you about your rights and the damage claims that you deserve. We are concerned about you and will represent your rights to ensure that justice is done. Any of these could lead to constant pain and suffering as well as permanent disabilities that leave you unable to work. Basically, your family could be financially devastated if you are unable to return to your job. Canada’s automobile insurance climate is oftentimes very complex and so are personal injury cases that are based on injuries sustained due to motor vehicle accidents. One of the most common problems that injury victims of motor vehicle accidents encounter is dealing with the insurance companies when filing their benefits claims. The personal injury lawyers of the AG Injury Law Office know that these large corporations can be extremely difficult to deal with. However, we are experienced in dealing with small and large businesses and corporations with equal ease. However, one rarely finds out how cooperative an insurance carrier is going to be until a personal injury claim is made. For those victims of motor vehicle accidents that are just starting to recover from such a traumatic experience, having to deal with the insurance companies can oftentimes be frustrating and overwhelming. 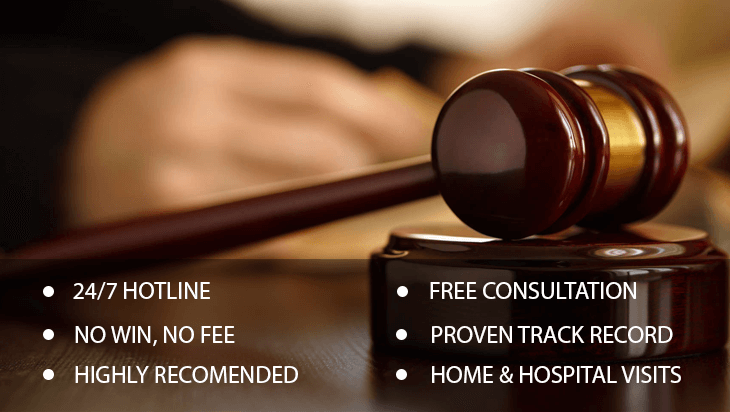 Why risk the stress and worry when we can handle the legal burden for you? Contact the AG Injury Law Office and schedule a FREE consultation appointment today.